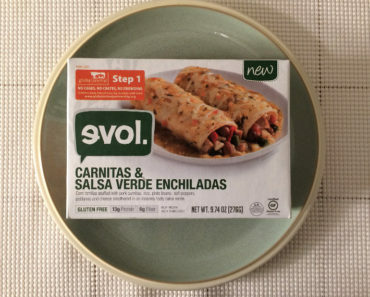 Decent frozen enchiladas are not always easy to come by, but Evol has a pretty solid track record for making a pretty good enchilada meal. Their Carnitas & Salsa Verde Enchiladas are doused in tasty salsa, and their Vegetable Enchiladas are loaded with cheese. So we decided to take the Cilantro Lime Enchiladas for a taste test. 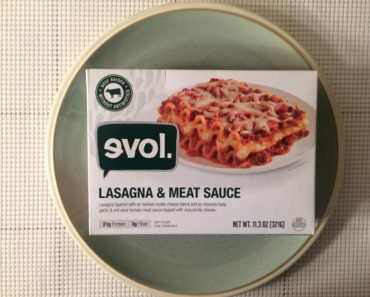 Since Evol doesn’t tend to skimp on their enchilada sauces, we knew this was going to be slathered in a good amount of spicy rojo enchilada sauce. And we weren’t disappointed. There’s plenty of sauce to go around, and it tastes great. Plus, it’s pretty spicy. 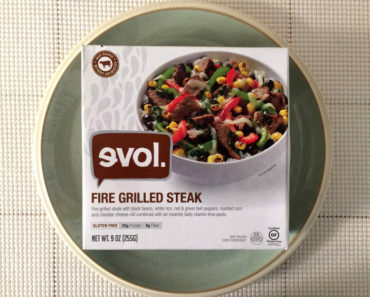 We were surprised by how much kick Evol put into this dish. 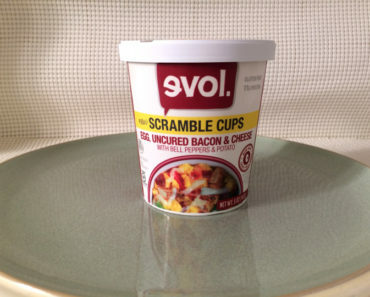 Evol’s enchilada shells tend to taste pretty authentic, although these ones are a little soggy due to all the sauce. It’s not necessarily a bad thing, though, as your fork will sink right through these. They’re very easy to eat. The shells are stuffed with rice and black beans. 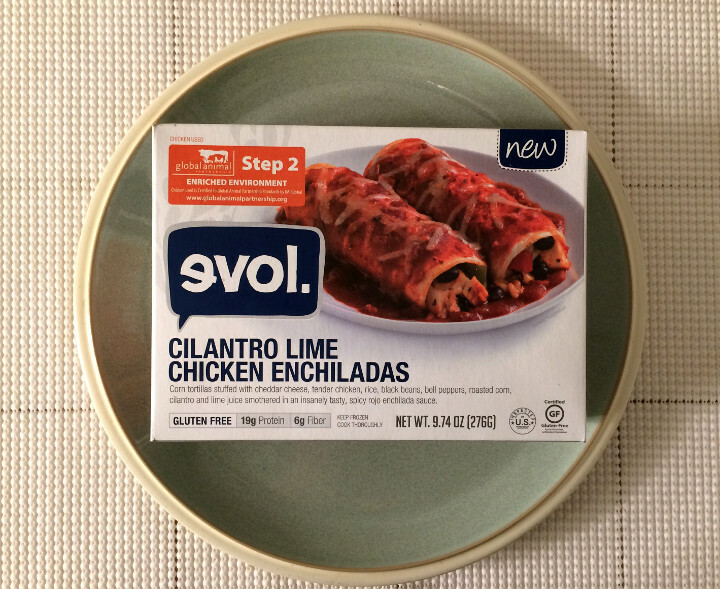 Although there’s the word “lime” in the title, we didn’t really taste that lime zing that some of Evol’s other products have — such as the Cilantro Lime Chicken Burrito. It’s too bad because we really love Mexican dishes that have a nice lime taste to give the rice a little something special. And of course there’s chicken inside, though the portions are fairly skimpy. 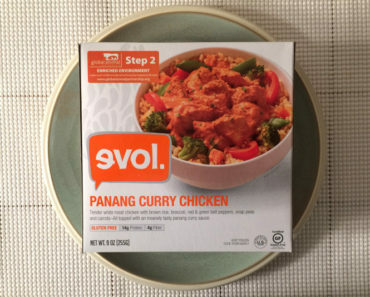 Conservative chicken portions are nothing new for Evol, but chicken lovers might be disappointed nonetheless. Now, you’ll want to be careful if you’re on a diet. 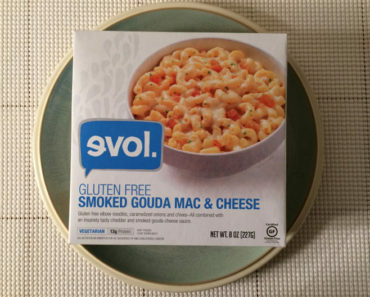 This meal has 410 calories (150 from fat) so it’s certainly not the most diet-friendly frozen food out there. 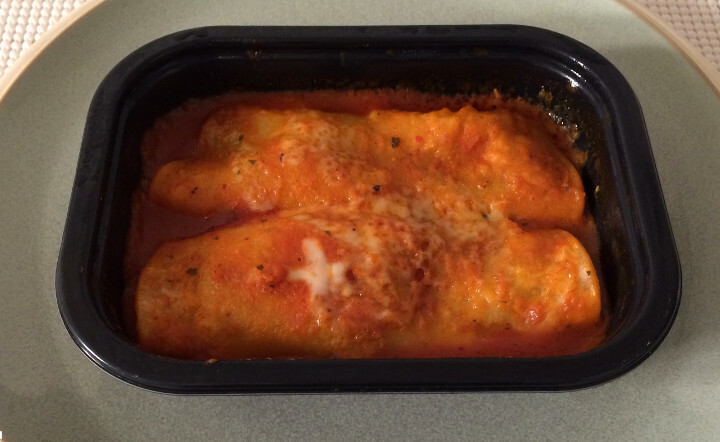 But for non-dieters, Evol Cilantro Lime Chicken Enchiladas are a tasty treat with a nice, spicy bite. 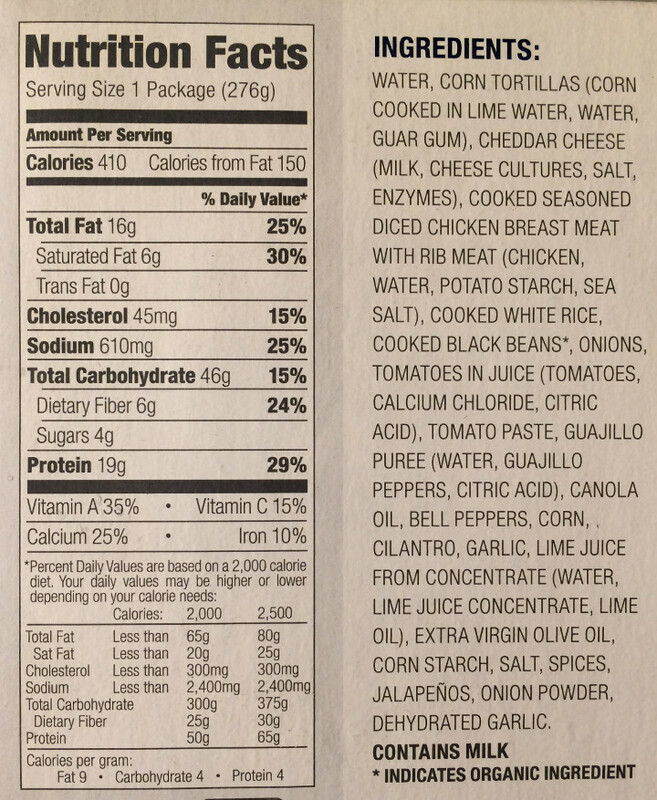 To learn more about the nutrition and ingredients in this frozen enchilada dish, check out our package scans below.